WWE Crown Jewel is taking place this Friday at noon. 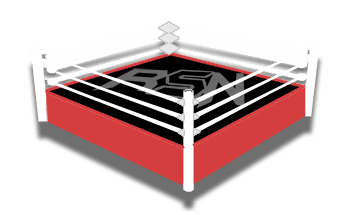 If you can’t watch the event or choose not to, you can still get all the updates here on Ringside News. But one match you won’t be seeing or hearing about is AJ Styles defending his WWE Championship against Daniel Bryan. Bryan didn’t want to go to the show in Saudi Arabia because he didn’t agree with the country’s mindset. Therefore, WWE pulled the trigger early and let the match happen on SmackDown Live this week. Dave Meltzer noted on Wrestling Observer Radio that WWE had planned as late as Monday to go ahead with the AJ vs Bryan match and air it during WWE Crown Jewel — only it wouldn’t be in Saudi Arabia. In fact, it would be a unique gimmick match instead where no fans were able to see it because it would take place in an empty arena. It looks like we got our answer about what they were going to do with AJ Styles vs Daniel Bryan at WWE Crown Jewel — they’ve already had the match on SmackDown Live. But, only time will tell if WWE will get brave enough to try an empty arena match but apparently, they almost did one here instead of giving the match to the Saudis.